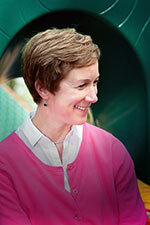 Ann Gadzikowski has more than twenty-five years of experience as a teacher and director of early childhood programs, and is the Early Childhood Coordinator for Northwestern University’s Center for Talent Development and oversees the summer Leapfrog Program. 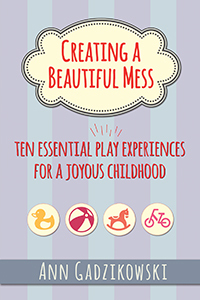 Her book Creating a Beautiful Mess: Ten Essential Play Experiences for a Joyous Childhood won gold in the 2015 National Parenting Publications Awards. 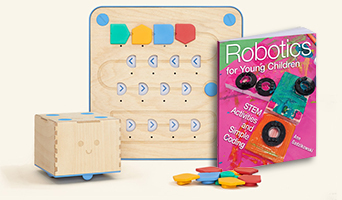 This set includes one copy of Robotics for Young Children by Ann Gadzikowski—a user-friendly and accessible guide through 100 exciting hands-on computer science and engineering activities, and Primo Toy’s Cubetto—the Montessori approved coding toy for children aged 3+. Give young children their start to the building, programming, and coding of robots through playful, developmentally appropriate activities. 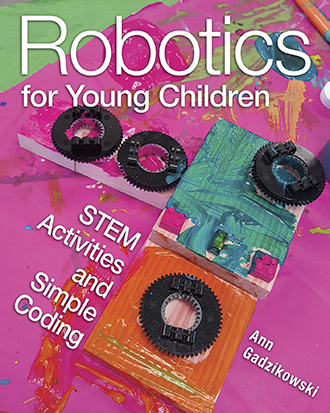 This user-friendly and accessible book gives teachers great ideas for engaging young children with 100 exciting, hands-on computer science and engineering activities. Softbound, 148 pgs. Full color. When children play, they often create a mess, but what a beautiful mess it is! Creating a Beautiful Mess describes the ten most important play experiences all children enjoy and how these experiences support learning, creativity, and social connections. These broad categories of play include building with blocks, pretending and make believe, running around like crazy, playing turn-taking games, finding and collecting things, and more. This is a book that can be enjoyed by parents and grandparents, as well as early childhood professionals. An ideal book to give to expectant moms and dads, this book is fun and helpful. It boils down the essential play experiences for childhood in a way that is accessible, practical, and a pleasure to read.